Almost everyone in America has been touched by Breast Cancer. We all know someone who has been affected by Breast Cancer; our family members, our friends or possibly ourselves. One in eight women and one in one thousand men will be diagnosed with breast cancer. Of those, 23% will die from breast cancer (www.cancer.org). 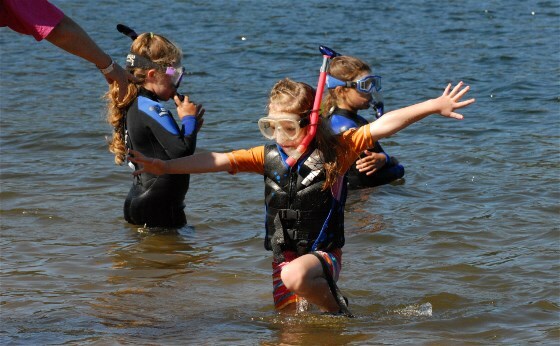 In 2008, Eugene Skin Divers Supply organized and co-sponsored the first annual Dive for a Cure at the Woahink Lake Day Use Area (Gazebo) in Florence, OR and raised almost $20,000. In 2009 we raised $30,000. In 2010 over $42,000.00 In 2011 over $50,000, in 2012 over $52,000.00, in 2013 participants raised over $59,300.00, in 2014 participants raised over $70,000.00, in 2015 sponsors and participants raised over $150,000.00, and in 2016 sponsors and participants raised over $113,000.00. All proceeds from money raised from Dive for a Cure are donated to the OHSU Knight Cancer Institute for breast cancer research and education. Oregon Health Sciences University is a tax-deductible non-profit IRS 501(C) (3) organization. You can help personally by participation or a generous pledge to Dive for a Cure. registration form, or click on the REGISTRATION link to the left, so that we know who is participating. You can also watch out for the flamingos. Thank you for supporting Eugene Skin Divers Supply and Dive for a Cure in the quest to raise monies and awareness for Breast Cancer programs in our area. The 2018 event is going to be at the Woahink Lake Day use area-Gazebo in Florence OR. You can join our team to raise money for the OHSU Knight Cancer Institute for breast cancer research and education. Copyright 2017. Dive For A Cure.